อ่านรีวิวSabai-Arom Urban Happiness Energy Aromatharapy Mist 100 ml. สบายอารมณ์ เออเบิร์น แฮปปี้เนส เอนเนอจี อะโรมาเทอราพี มิสท์ สเปรย์น้ำมันหอมระเหยเพื่อความผ่อนคลาย กลิ่นเอนเนอจี 100 มล. An instant relaxing spritz made of 100% natural essential oils derived from sweet orange, ginger, lemon and clary sage to help you unlock vital energy so that you can make an energizing move. How to Use: • As body mist, spray slightly and directly onto body skin or clothes. Ideal for post-shower. • As room mist, spray in the air at least 30 centimeters away from you to let the scent mist. • As pillow spray, spray a few spritz onto the pillow, wait for 10 seconds before cuddling. 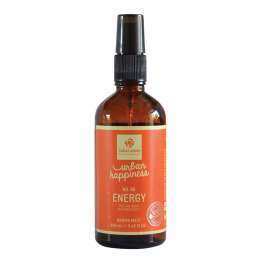 Sabai-Arom Urban Happiness Energy Aromatharapy Mist 100 ml. 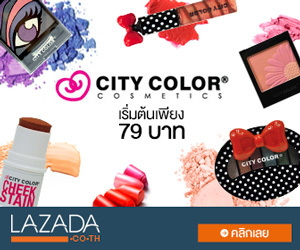 สบายอารมณ์ เออเบิร์น แฮปปี้เนส เอนเนอจี อะโรมาเทอราพี มิสท์ สเปรย์น้ำมันหอมระเหยเพื่อความผ่อนคลาย กลิ่นเอนเนอจี 100 มล.